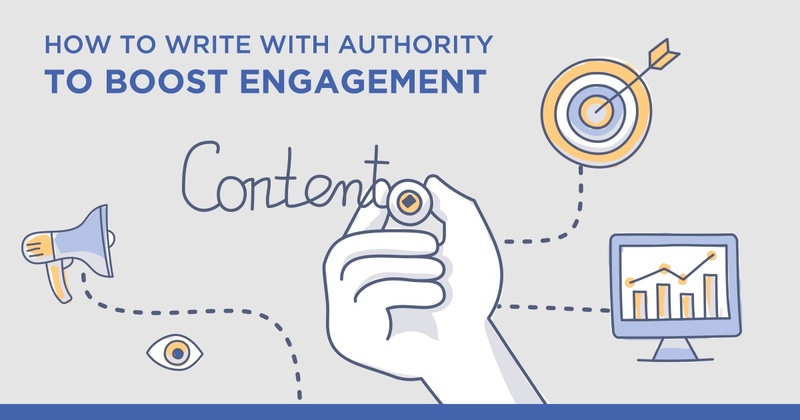 Years ago, when I started my SEO career, the easiest way to boost organic traffic was by optimizing content for a single and highly-specific search query. Our toughest challenge was to find a keyword that many people searched for, but other marketers had not yet discovered. Today, doing so is not only impractical but also, pointless. For one, we now search in countless different ways, often feeding Google with whatever scraps of information we have, and still expect it to deliver the right information. And so, the challenge to deliver a great search experience is how to provide search engines with context that allows them to match our content to the greatest number of highly-relevant queries. We do it by utilizing semantic search. Unfortunately, I still see many SEOs being confused by both concepts. I’ll explain why semantic search remains one of the most misunderstood concepts in SEO. First, we need to assess how our customers (and us!) use search engines. When thinking of search behavior, we typically have the act of querying Google or any other search engine for information. 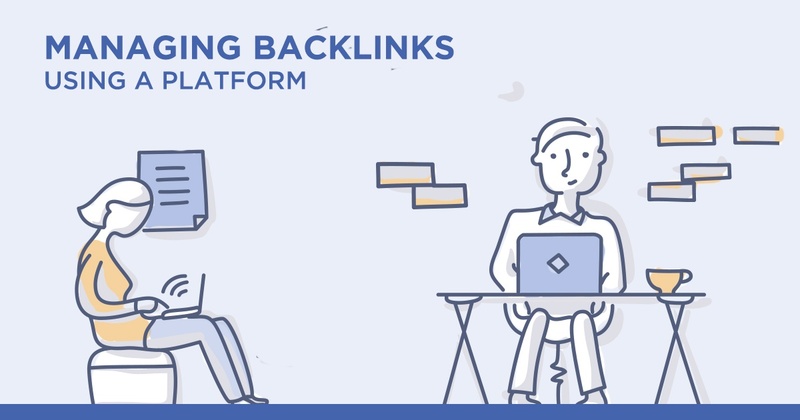 We imagine that a person looking for information on a particular topic would simply put that term, or its variation, into the search box, hit SEARCH, and click on one of the top listings. In reality, though, querying, as this behavior is de facto called, is just one of the ways we search. Many users also conduct another search type called “berrypicking”. 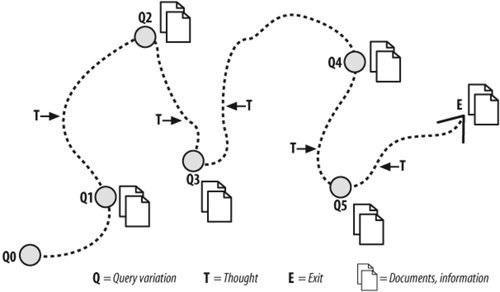 In this model, a person switches from searching to browsing and back again, refining their search query in the process to retrieve the most relevant information. Other users follow a behavior researchers refer to as “pearl-growing.” Here, a person starts with a document that has already delivered some of the information they needed. They scan it for what’s referred to as “pearls” – recurring words that further define the topic and use them to construct various additional queries to find pages promising more information on the topic. In this model, a person’s search objective is to acquire in-depth insight that stems from what they’ve already read. And naturally, they’d use different and more complex search queries, often informed by the information they’ve already consumed, to obtain it. Then there’s the foraging search model, scanning and a handful more. What About Search Engines Then? If you take the above into consideration, then it becomes clear – Google and the other search engines have quite a task to fulfill. They have to deliver information to all those search styles, and process individual and let’s be honest, often highly-vague search queries. No surprise that they’re continuously working on ways to gain more context and relevancy for a search query. I’m sure you already know the premise of semantic search – to improve search accuracy by understanding a person’s intent and the context behind the information they’re looking for. With semantic search, Google analyzes content not just for keywords but other phrases that provide it with further information about its relevancy to a particular search query. Download our Marketer's Guide to Creating a Data-Driven Content Strategy to help you better understand the convergence of data and quality content. Here's where things get confusing. For many SEOs, semantic keywords equal nothing more than using synonyms and key phrase variations. On a page targeting a phrase like “custom t-shirts,” they also speak of “custom made t-shirts”, “customizing t-shirts,” “custom printed tees,” and so on. In doing so, however, they miss the key aspect of semantics – providing Google with additional context to understand the content better. 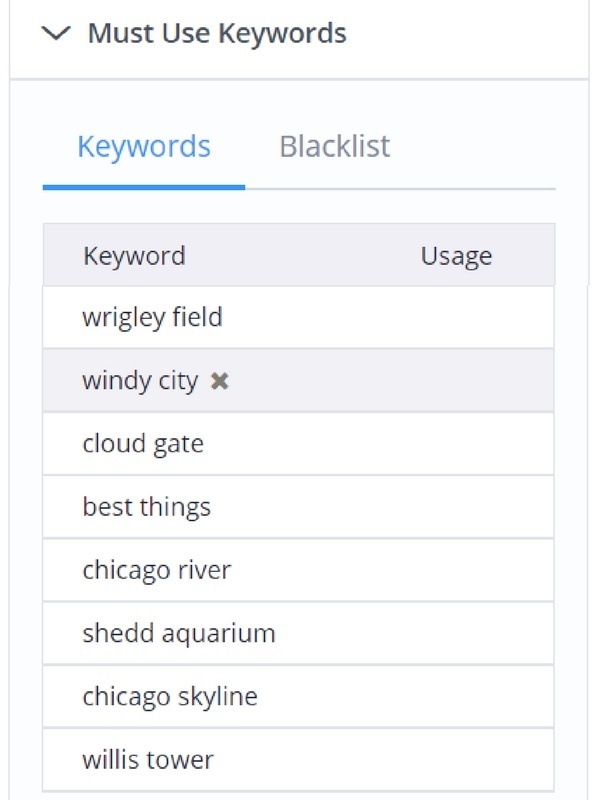 Using synonyms allows you to expand the search engine’s understanding of your keyword into additional words or phrases that a person would use to search for it. However, they don’t offer any additional context, and in doing so, fail to position the content as highly-relevant to specific search queries. That’s why we use semantic keywords – phrases that are semantically linked to each other, to provide that additional context to help Google display content for the right phrases. Take for example, the phrase "things to do in Chicago". But, what about the terms like "Magnificent Mile", or "Cloud Gate" (or "the Bean" for that matter)? Chicago is also referred to as the Windy City, so how do you know what context to provide your audience? 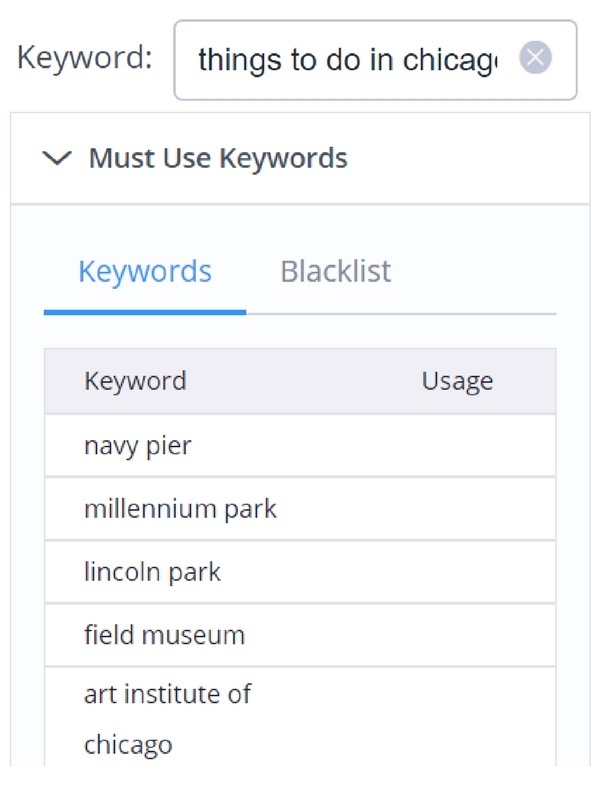 Semantic keywords would help provide context to the search query, allowing search engines to quickly understand which of the above options your content is about. Including these related terms in your copy would increase the relevance of the content and search visibility significantly. That’s quite a discrepancy of intents, don’t you agree? So how would Google and other search engines know when to display your content? Naturally, by analyzing your use of semantic keywords. All of this brings up to misconceptions about semantic search. It doesn’t help to appear in more searches (as what some SEOs believe using synonyms would do). It helps when you appear for the most relevant queries. This might also mean ranking for a greater number of phrases. But it’s the relevancy that’s the main objective here. Semantic search helps Google better match your content with relevant search queries. To fully avail of the semantic search, use semantically-related keywords that provide additional context to your topic. Think you're ready to take the next step and explore the platform? If you're an enterprise business looking to scale your content strategy, click the button below to schedule a demo and see how seoClarity can help you expand your search visibility. Kalpesh Guard is the co-founder and CFO of Actonia Inc./seoClarity, a leading SEO technology company. Kalpesh helps clients maintain an edge in the ever-evolving search marketing industry. His expertise has established seoClarity as the successful SEO technology company it is today.